Here’s an easy recipe for your next Meatless Monday. It’s soft and tender on the inside with a gentle crunch on the outside. 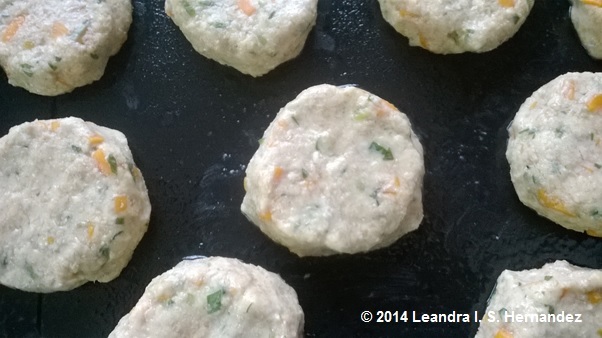 – Next, add celery, chive, carrots or pumpkin, fresh thyme and olive oil. Mix well. 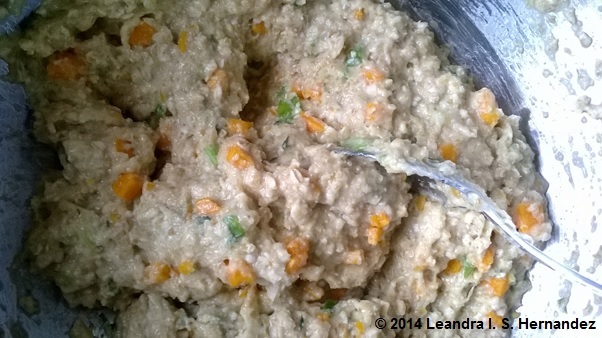 – Now add ground split pea powder, onion powder, ground flax seed and sea salt. Mix well. – Take a little more than a golf ball sized amount with hands and shape into a ball. 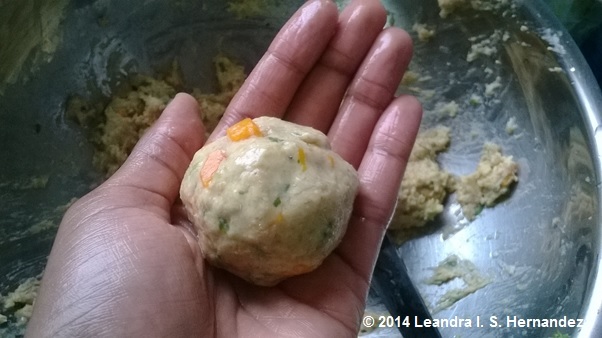 – Press gently, but firmly, to flatten into a patty a little more than 1/4 inch in thickness and place on baking sheet. Repeat until all of your batter is used up. Makes about 8 – 10 patties. – Bake at 375 degrees Fahrenheit for 25 minutes. 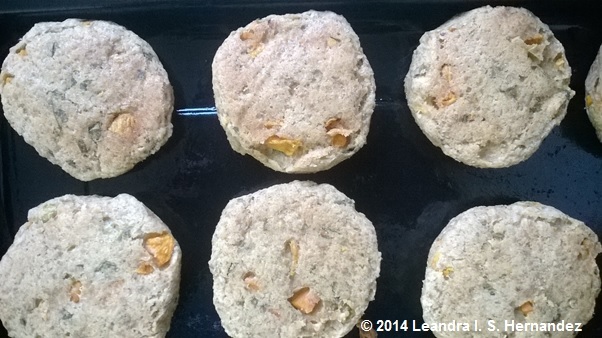 – Put back in oven and continue to bake for 20 minutes or until golden brown. – Carefully, remove from oven. Patties should like the photo below. – Place on a serving plate, serve and enjoy! 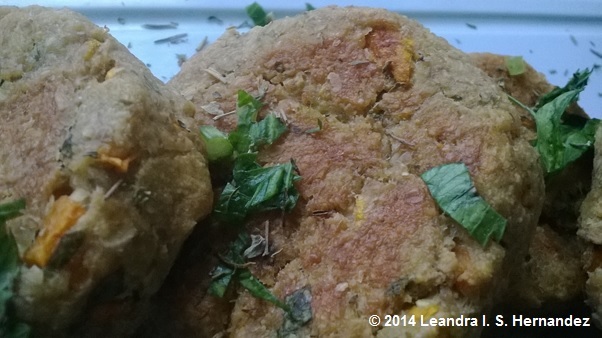 Ground Split Pea and Oat Vegetable Burger patty – Serve and enjoy!